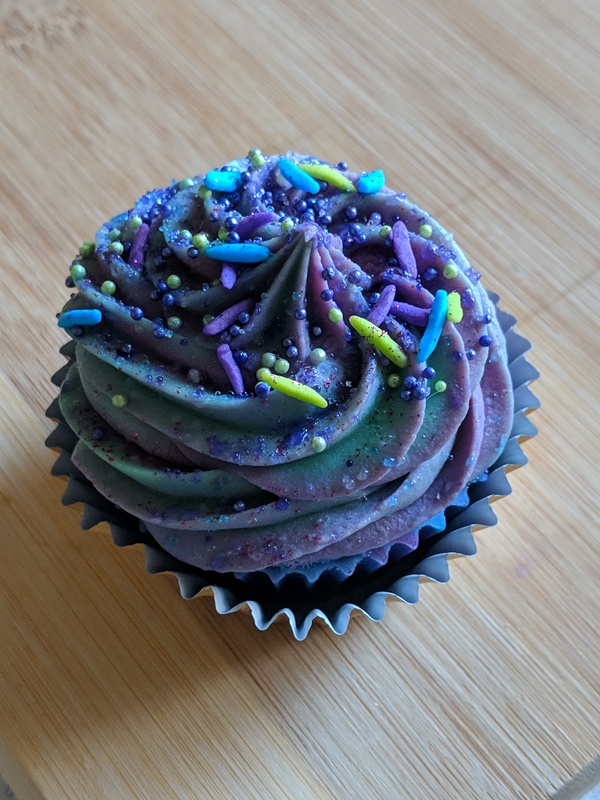 PI Colors created this Limited Edition soap cupcake for our Indie Pickup Feb 2019 debut! 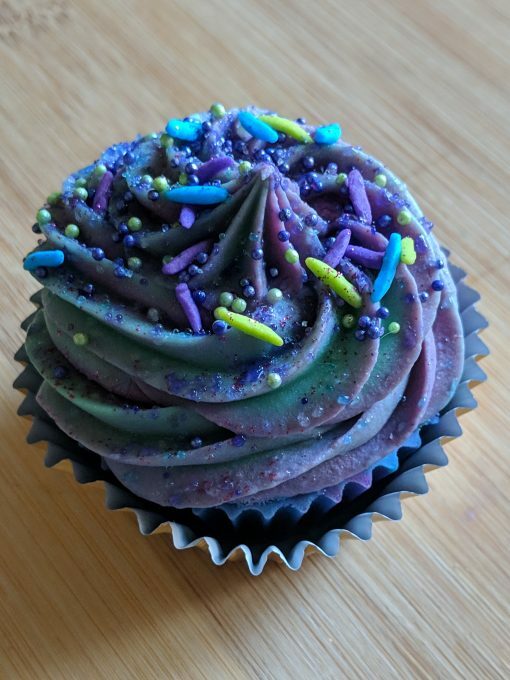 Indie Pickup is over for February, but we have our extra soaps available here in the shop! This is a fun, berry and spice scented artisan soap created to look like a cupcake. 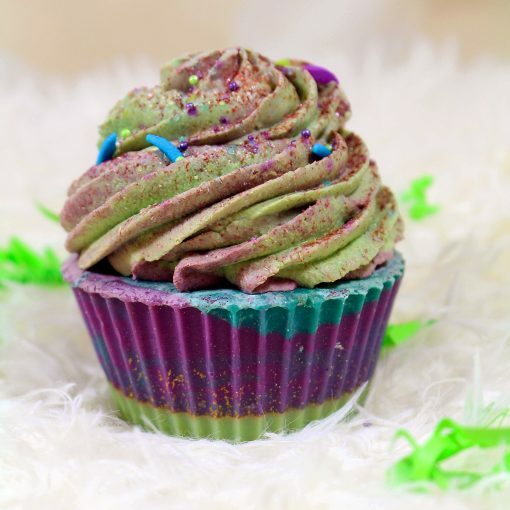 Yes, this is actually soap and it will get you clean! Inspired by the “Famous Duo” Mike & Sully of Monster’s Inc. 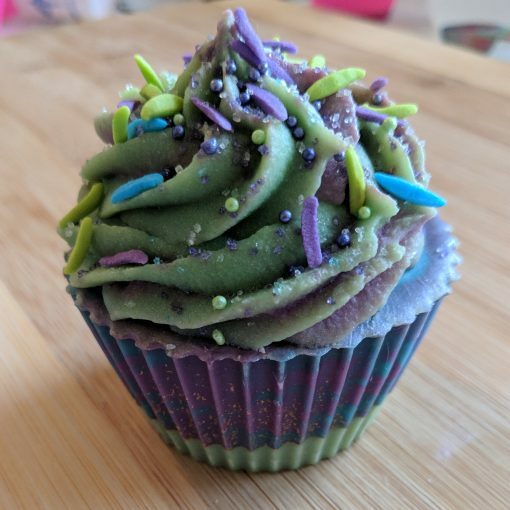 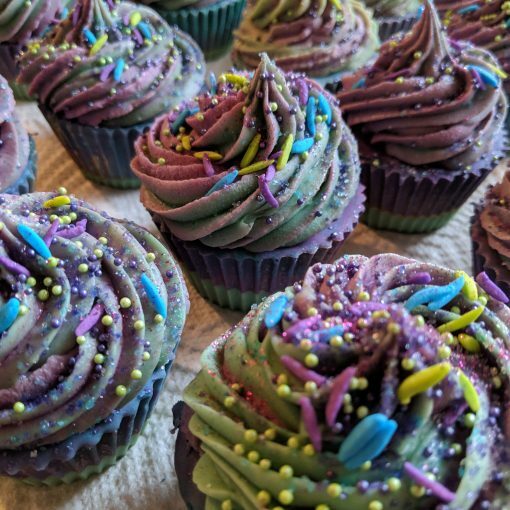 This yummy smelling soap is called “Put That Thing Back Where It Came From Or So Help Me” and is a spice and berry scented soap cupcake, with layers of Mike Wazowski green in the base with a gold mica line and Sully blue and purple swirl. Topped with a matching green and purple soap frosting and tons of decorative sprinkles and glitter. Made using the cold process soap method. 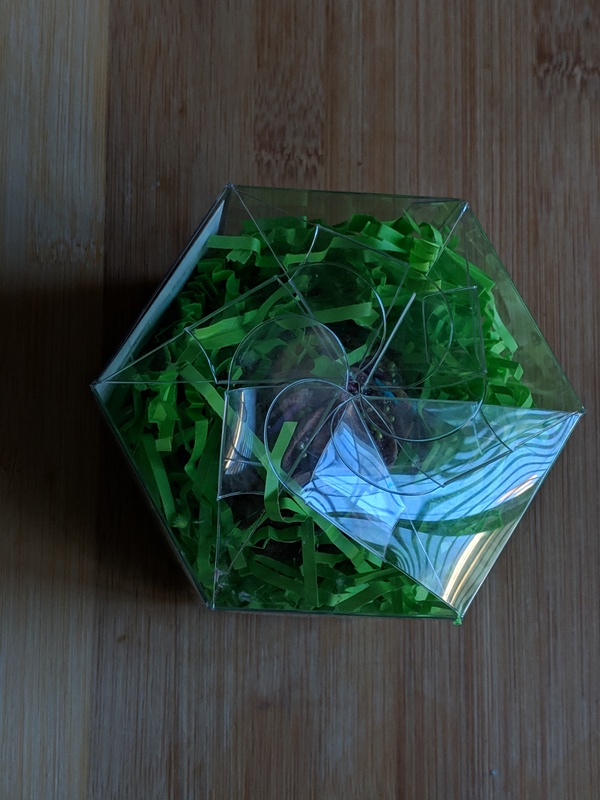 Each soap cupcake is packaged lovingly in a golden cupcake sleeve on a bed of vibrant green crinkle paper strips and encased in crystal clear acetate box.